Baugh's Blog: Book Review: Charles Dickens 8 - "Dombey and Son"
After the last monthly instalment of Martin Chuzzlewit was published in July of 1844, Charles Dickens took a two-year break from novel-writing. His main activity during the ensuing hiatus was travelling with his family in Europe. Just two days after he finished the novel, they were away. There were twelve people in the Dickens’s family and entourage. Their ultimate destination was Italy, but they stopped in Paris for a few days. Then they made their way south in several carriages to the French riviera, crossing the Ligurian Sea by boat to reach Genoa, on Italy’s north-west coast. They spent a year in Italy. Dickens had plans to write a travel book about his experiences for his new publishers, Bradbury and Evans. He wrote extensive letters to many friends and associates about his impressions and experiences. He collected many of these letters later as background material for the book. He also planned to write another special Christmas story by mid-October. As usual, he got into the habit of taking long hikes – giving him extended time to think about and to plan his future writing. 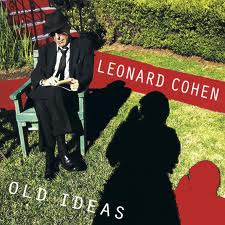 At first he found it difficult writing outside his familiar haunts in England. But finally he got stuck in by the second week of October, and had the Christmas book The Chimes finished by the beginning of November, 1845. One strange, extended interlude during this Italian sojourn came about through Dickens’s friendship with a couple he met in Genoa – a Swiss banker who had married an English woman. Her name was Augusta de la Rue. 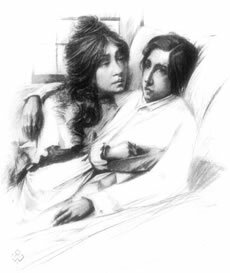 Dickens discovered almost immediately after they had met that Mrs. de la Rue was suffering from a nervous, sometimes "hysterical", condition that often left her virtually incapacitated. Dickens, it turned out, had been experimenting with hypnotism – this was the age when “mesmerism” was all the rage. With no medical supervision at all, Dickens persuaded the de la Rues that Augusta might benefit from a course of mesmeric treatments. He hypnotised her many times, and would question her about her life and problems whilst she was under his spell. These sessions were sporadically successful, and Mrs. de la Rue gained some relief from her sufferings. Dickens became fascinated with the case, but his wife, understandably, grew more and more concerned with the impropriety of the situation; and he became annoyed by his wife’s suspicions and her apparent lack of concern for the afflicted woman. His sessions helped temporarily, but Mrs. de la Rue was never to fully recover from her plight. ﻿Dickens and his family returned to England in June, 1845. For the next year, he was kept busy with three main projects. The first of these involved amateur theatricals, undertaken to finance a charitable institution. Dickens involved many family members and friends. He took on the role of impresario, producer, director, actor, etc., supervising every aspect of the production – a version of Every Man in His Humour, a satire by the English playwright Ben Jonson. The performance was a tremendous success – and it inaugurated a series of such amateur productions over the next seven years. 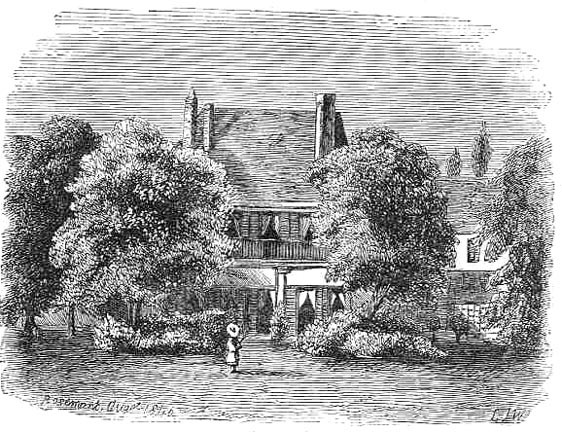 Another charitable activity that Dickens got involved with at this time was the founding of Urania Cottage in Shepherd’s Bush. It was to be a home for “fallen women”, former prostitutes who now hoped to establish a new way of life. Dickens established the place with the funding and support of Angela Burdett-Coutts, reputed to be the richest woman in England. She was looking for charitable projects to finance and had been friends with Dickens for some time. Once she gave him the green-light, Dickens threw himself into the project with his usual enthusiasm and commitment. He did most of the planning for the Cottage: he wrote the prospectus, did the interviewing, the hiring, the designing, and so on. It was a scheme he supported and followed for several years. The third major activity Dickens got involved with in this period was editorship of a newspaper. His publishers, Bradbury and Evans, proposed the idea, and, as usual, it didn’t take much to convince Dickens to get involved. He hired several family members and friends to fill out the staff. The first issue of the paper – The Daily News – emerged on January 21, 1846. Charles Dickens was a good reporter, a fine journalist, an excellent writer, but, as it tuned out, not a very good editor. He was enthusiastic and meticulous in some things, but he did not have the right temperament for the job. He realised almost immediately - after the initial euphoria of putting out a newspaper had passed - that he had made a mistake. 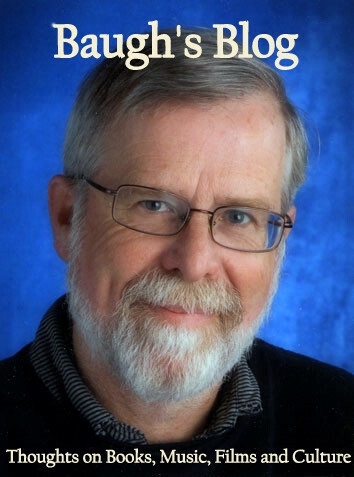 Within 10 days of that first publication he decided to quit. He had a couple of genuine grievances about his position in the enterprise, but was looking for reasons he could use in order, really, to save face. One of his stated reasons was that he realised that he had a new novel in mind that he wanted to get started on. To escape the fall-out from his decision to abandon The Daily News, Dickens and family undertook another trip to Europe. At almost the same time that his travel book from the previous trip – Pictures From Italy – was published, Dickens took his family off to Lausanne in Switzerland. He planned to be on the continent for a year, in order to complete a large chunk of his new novel. It took a while for him to settle, but he soon set about plans for the novel and the latest Christmas story. He had never begun two major pieces of fiction at the same time before, and it troubled him for a while. He walked about ten miles each day thinking about the books. The novel came first. He planned the plot’s construction very carefully; there was to be very little extemporizing this time, he knew where he was going from the beginning. This is the first Dickens novel for which the plans and notes for each instalment survive, and they help to show that he paid as much attention now to the construction of the book’s plot, as he did to its writing. It had been two years since the completion of his previous novel, but once he started, the writing came quite easily. And after he’d finished the second part of the novel, he got busy with the Christmas book, The Battle of Life. He finished it rapidly, doing the final section in just five days. ﻿The new novel was called Dombey and Son. As usual, it appeared in twenty instalments over nineteen months – the last issue, as always, being a double instalment – between October 1846 and April 1848. The novel was published by Bradbury and Evans. The illustrations were provided again by “Phiz” (Hablot Knight Browne). It enjoyed quite a good early success – the first instalment sold 25,000 copies, somewhat better than some of his more recent serialised novels. By the end of its run, sales picked up to about 35,000 copies per issue. This success stabilised Dickens’s financial situation. He received £1,500 alone from the first four instalments. He was now one of the highest-paid authors of his generation. 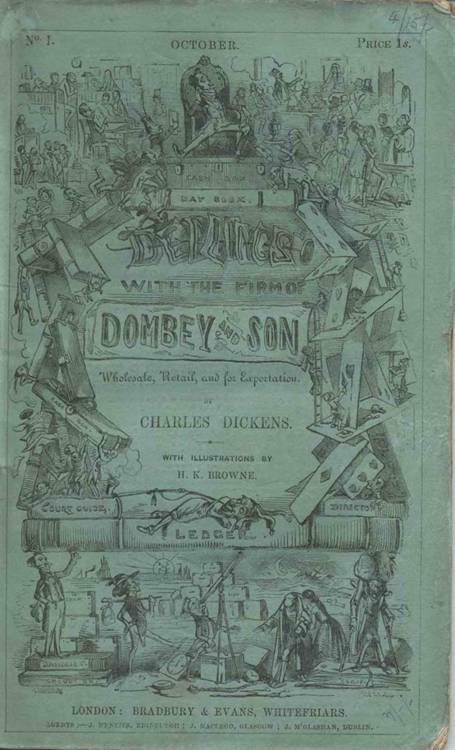 The full title of the novel, as it appeared on the cover page – the green wrapper – was With the Firm of Dombey and Son: Wholesale, Retail and for Exportation. This suggests that Dickens originally intended the work to be focused primarily on mercantile capitalism. If that was the plan, he changed his mind. Paul Dombey senior, the firm’s proprietor, is one of the central characters of the book. But we learn virtually nothing about the nature of his firm’s business. And the reason for its eventual collapse is not explained. The book may reflect society’s dominant interest in commerce and power, but Dickens’s real interest is the moral implications in the relationships amongst the key members of the Dombey family. If Martin Chuzzlewit explores the theme of selfishness – its corrosive effect on a family’s affairs, Dombey and Son examines how excessive pride undermines a man’s family and destroys his marriage. But the novel ends by showing that contrition and forgiveness offer the possibility of redemption. ﻿At the beginning of the novel, the focus is on Dombey’s young son, Paul junior. His father sees the young boy merely as his heir and successor – the “Son” of the Dombey and Son enterprise. He utterly ignores the existence of his older child, Florence, meanwhile, because she is a girl and, therefore, unable to inherit the family business. But from the first, Paul junior proves to be a frail child. He manages to survive a sickly infancy, only to succumb as a young lad. In a re-run of the demise of Little Nell in The Old Curiosity Shop, Dickens revels in the build-up to the boy`s pathetic death. And it caused the same sensation amongst his readers as the fate of Little Nell had done in the earlier book. Some critics thought he had overplayed the pathos, but the Victorian public had a much higher tolerance of sentiment than a modern audience. They lapped it up. 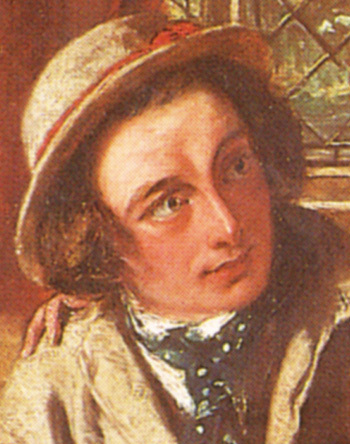 William Thackeray, author of Vanity Fair, who could be a sharp critic of Dickens at times, had this reaction to Dickens’s description of young Paul`s death: “there is no writing against such power as this”. Although I found the lingering, drawn-out account of the boy’s decline tiresome, it is interesting to see how Dickens gives us the entire extended narrative of Paul's decline from the child’s viewpoint. 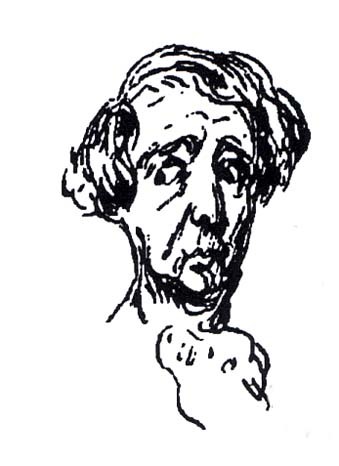 After the death of Paul Dombey junior, at the conclusion of the novel’s fifth instalment, Dickens found it difficult switching the focus of the narrative over to Dombey’s daughter Florence, the older child. He always had trouble portraying young female characters – invariably they were just too insipid and angelic. Florence is typical, in this regard – perhaps even more so. The sense of her unreality is so strong, she seems at times to be a fairy-tale princess. And the obsequious regard she shows for her cruel and tyrannical father is hard to take. She is another example of Dickens’s tendency to portray motherless daughters as angels who sacrifice themselves continuously for undeserving fathers or grandfathers. Again we are reminded of Little Nell. And then there’s the character of Edith Granger, the daughter of Mrs. Skewton. She is herself a widow, and becomes the second wife of widower Paul Dombey. The portrayal of their courtship and marriage begins in a promising way. Edith has no romantic or friendly interest in Dombey at all. In fact she despises him pretty much from the moment they meet. But she is pushed into wedlock by a domineering mother who is desperate to have her child married into big money. Dickens seems to be focused on the issue of patriarchy in Victorian society, and how middle-class and upper-class women are restricted pretty much to marriage in order to establish themselves in life. But then the relationship between Paul and Edith Dombey veers into melodrama. They try to outdo each other in pride and arrogance, and become locked into a kind of psychological death-spiral. The depiction of Edith’s behaviour wallows in purple prose and over-the-top situations. Dickens draws on his experience of the London stage, here, and the drama descends into typical melodrama. There is some complexity and intrigue in Edith’s character, but Dickens does over-writes scenes too much. One of the key problems with this novel is that several of the central characters are not that compelling. In previous novels, shoddy construction was often compensated for by fascinating protagonists. There are some interesting characters here, but they usually take up minor roles. Captain Cuttle, a retired skipper and friend to Solomon Gills and his nephew Walter Gay, is a delightfully-drawn and good-hearted man. Major Bagstock, a retired army officer, is a pompous and egocentric blowhard, who – strangely – becomes a travelling friend and confidant of Paul Dombey. Robin Toodle (‘Rob the Grinder’) is another of Dickens’s young whippersnappers; he starts as a charity schoolboy, but becomes a spy for Mr. Carker. Two successful characters that do play major roles are Mrs. Skewton and James Carker. Cleopatra Skewton is a delightfully obnoxious woman; she is one of Dickens’s most memorable monsters. She talks about herself non-stop and is a completely insincere person – all façade, no substance, completely artificial. In a wonderful passage, Dickens describes how she is physically “constructed” each morning by her maid, and then “dismantled” each night. James Carker is Mr. Dombey’s confidential clerk and the manager of his firm. He represents the new managerial class running commerce and industry. He is an immoral opportunist. He has abandoned his brother and sister to poverty. Dickens encapsulates his sly deviousness by often depicting him primarily as a walking, strutting pair of gigantic white teeth. Dombey and Son, despite Dickens’s careful attention to its construction, has major structural flaws. He uses his usual trick of creating a mystery, then delaying its solution until late in the novel. In this case, it involves a set of redundant sub-plots involving James Carker - thrown in towards the end of the book. And the long-absent characters of Walter Gay and Solomon Gills also turn up within a chapter or two of each other near the conclusion of the tale. Dickens had difficulty regaining the momentum of the plot after the death of little Paul Dombey. The struggle between Paul and Edith Dombey goes on too long. And the redemption of Mr. Dombey at the end seems improbable and inappropriate. 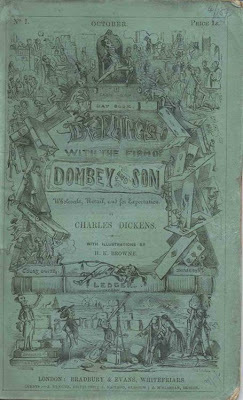 Dombey and Son doesn’t quite seem the book Dickens intended; despite his careful plan, his focus seemed to shift away from a critique of capitalism and patriarchy to a portrait of a family. 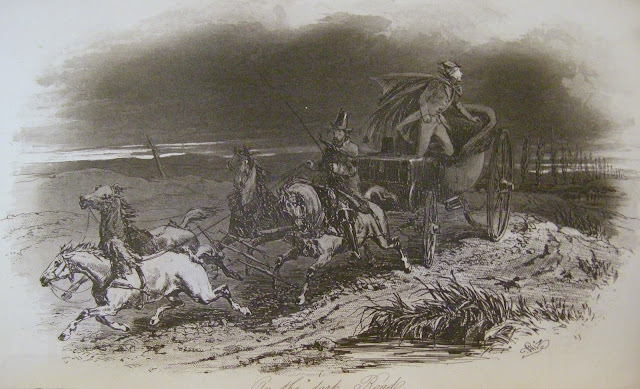 What holds the book together – apart from its vigorous writing and some compelling characters – is the relationship between the negligent and cruel Mr. Dombey and his daughter Florence. Maybe Dickens should have called the book Dombey: Son and Daughter. When I set out, on a previous occasion, to read through all of Dickens’s novels chronologically, I floundered during the process part way through this book. Now I know why. For me, it’s his least interesting and successful. It’s worth a first read, for sure, but I don’t think I’ll be back.